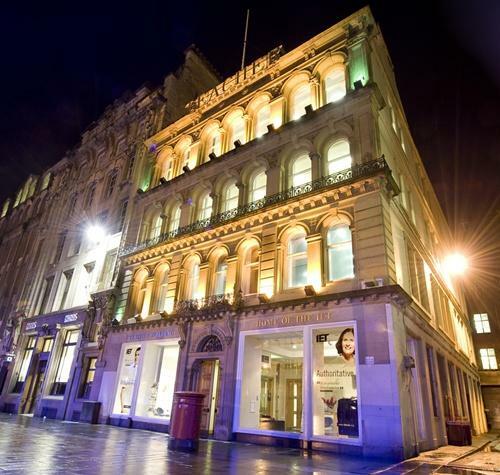 A city-centre landmark for distinguished events the IET Glasgow: Teacher Building is a multi-award winning city centre venue just a minute's walk from Glasgow Central and Queen Street stations and all major transport links. With prices to match your budget and experienced, well trained staff, we have only one focus and that is to provide the perfect environment for your meetings and events. We can help you to deliver your next seamless event or meeting. You'll benefit from a fantastic central Glasgow location in St Enoch Square and great transport links to our venue in the heart of Glasgow. With prices to match your budget and experienced, well trained staff, we have only one focus and that is to provide the perfect environment for your meetings and events. We can help you to deliver your next seamless event or meeting. When your event is about communicating and sharing ideas you need a professional team building company to deliver these outcomes and venue that will support them. At IET Glasgow: Teacher Building working with Team Challenge Company you'll find space for inspiration and discussions as well as the latest AV and broadcasting technology. The three largest conference rooms allow for keynote lectures, boardroom-style discussions and much more. Whatever style of team building event you choose IET Glasgow: Teacher Building has the facilities to meet your needs.